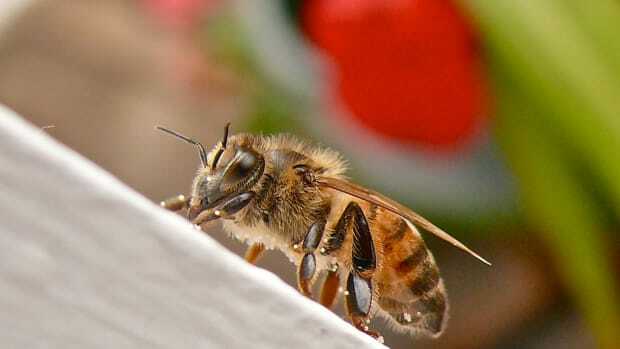 Honey bees are incredible animals. 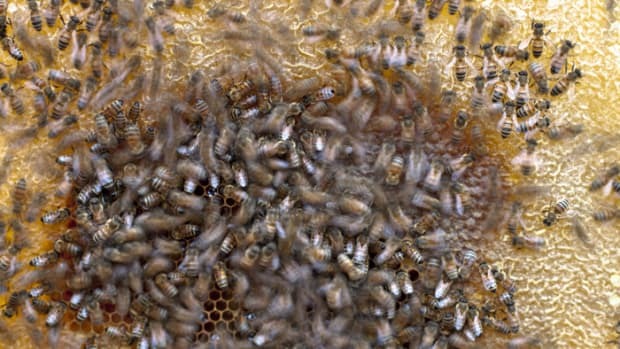 Their biology sounds like something out of a Cronenberg film: A single queen bee watches over her hive of thousands, while the female worker bees are all born into specific roles—maid, grocer, farmer, guard, nanny, chef, carpenter—and the “drone” males will simply mate with the queen and die. They communicate to eachother by dancing, and they travel the distance around the world threefold as a hive. 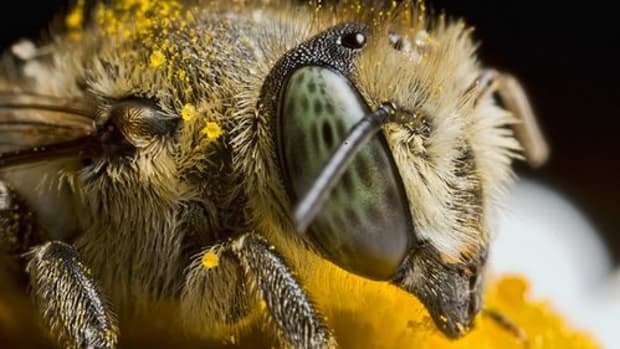 The life of the honey bees sounds like science fiction, and they deserve far more awe and recognition than we give them. But as a recent documentary, Vanishing of the Bees, points out, the life of the honey bees may be coming to a close, as they are disappearing in a global endemic called colony collapse disorder. The discovery of a problem came quite recently, in 2006 when East Coast beekeeper Dave Hackenberg found his 3,000 beehives to be suddenly without bees. There were none dead, diseased or ever even found—just gone. 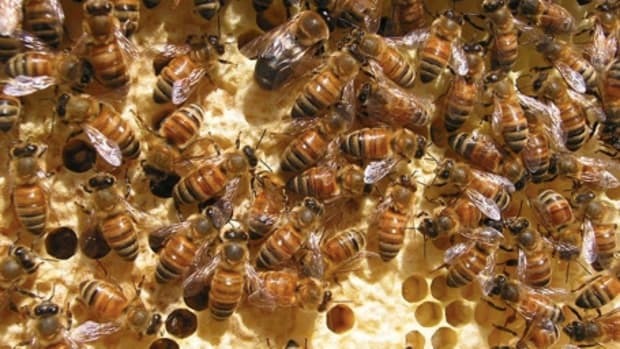 Before long, other large-scale beekeepers found the same occurrence within their own beehives. The lasrgest beekeeper in America found his 40,000 colonies of bees vanished in 2008. His loss alone was billions, yes, billions, of bees—just gone. 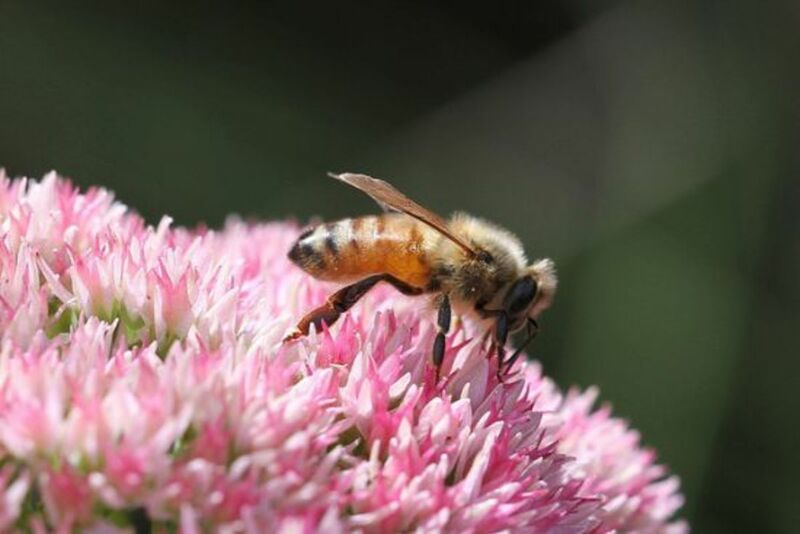 Colony collapse disorder is the term this phenomenon was given: when bees are gone from their colony, without trace of disease, distress or reason. If there are any left behind, it’s usually just very young baby bees and the queen, all dying without the female worker bees around to care for and feed them. But why? Vanishing of the Bees explores the various reasons behind colony collapse disorder, as well as why the bee disappearance is colossally important to everyone living in the modern world… especially Americans. You see, bees don’t just produce honey; they actually pollinate crops that we eat, use in a number of industries and sell to the rest of the world. 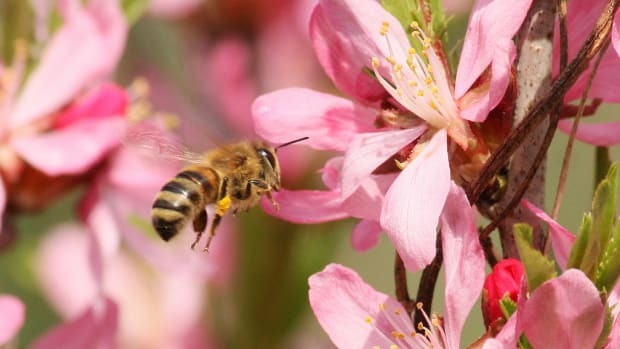 In our country alone, bees are responsible for pollinating 15 billion dollars worth of food every year—giving us our supply of almonds, blueberries, cranberries and hundreds of additional food crops. When those crops aren’t pollinated by bees, we then have to import our crops from other countries (goodbye local foods), or else import their bees to pollinate our home crops. In recent years, farmers attempted to import bees from other countries (coming from as far as Australia), but the problem is that bees are genetically wired to work within their own home community. The land, the air, the pollen in their homeland is what they know, and what they work best with. 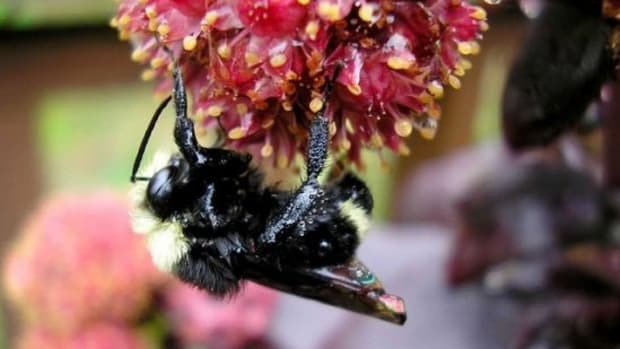 Transplant a bee from 5,000 miles away to an entirely different terrain, and see how well it performs. And herein lies the bigger picture problem: Bees are so incredibly adapted to their local environments, so tightly woven into their local ecosystem, that when they suddenly up and disappear, we should see great red flags that something in the ecosystem is indeed very, very wrong. The film explores the diligent work that farmers, scientists and biologists have come together to conduct all in the name of figuring out just why colony collapse disorder has happened, and how we can help to reverse this awful biological tragedy. 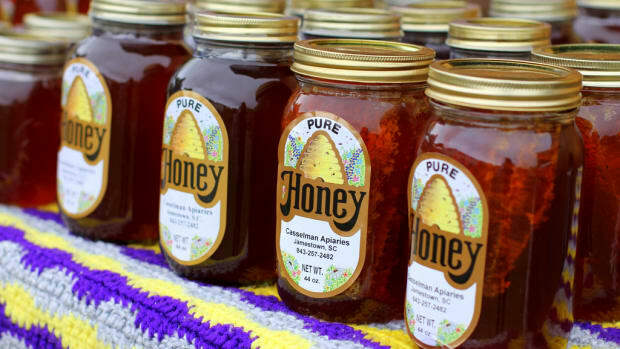 Filmmakers visit small-scale farmers and beekeepers utilizing organic and biodynamic agricultural practices in an attempt to restore integrity to the land, and they explore the ways that cheap, imported honey is ruining the lives of America’s beekeepers and the few bees we have left. As you discover after watching Vanishing, it’s not just about bees. 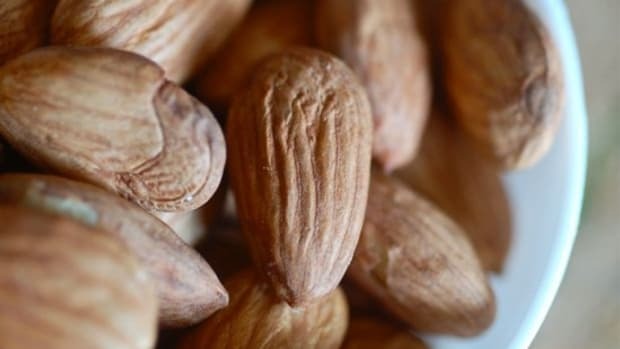 It’s about pesticides, monocultures, cheap imported goods, animal welfare and the loss of biodiversity around the world… and it’s also about how we as communities can do our part to reverse these trends and take a bite out of a more sustainable future. Disclosure: This DVD was supplied as a complimentary product for the review; no other compensation from Vanishing of the Bees was received.